After a wealthy man finds out his wife is a gold digger, he meets and falls for a widowed mother, and complications ensue. Wife #1 wants ex-husband to catch second wife being unfaithful. Two gold diggers prey on old rich men, but one of them falls in love with a young, rich man. IT'S GREAT because it's Human! Q: Where can I find this very hard to find classics. 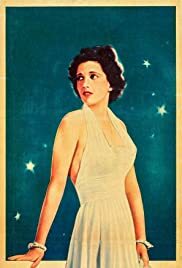 Predictable but irresistible "B" picture from Warner features Kay Francis as a widowed mother who finds herself broke and trying to support her four children anyway she can. When her dead husband's sister takes the three oldest children, it leaves the mother and her youngest son Bill (Dickie Moore) to try and right the ship. MY BILL runs just 64-minutes and it contain some of the most predictable moments of melodrama that you're ever going to see but at the same time the film is just so charming that you can't help but fall in love with the characters and their situation. The screenplay by future director Vincent Sherman isn't the greatest thing ever written but it's serviceable enough. The characters either have wings attached to their backs or rattles meaning that there's really no "development" as characters are either good or evil but that's okay. The film manages to work because the actors are simply so good in their roles. I dare say this here is one of the best performances I've seen from Francis. She perfectly handles this role and really brings it to life no matter what is asked from her. Whether she's playing the sweet mother, the strong mother or the one facing certain drama, Francis is perfect all around. Moore is also brilliant in his role as the tough-as-nails kid who stands up for his mom at all costs. Bonita Granville, Anita Louise and East Side Kid Bobby Jordan play the three oldest children and it's always nice to see them. John Litel has a small but good role as does Helena Phillips Evans and Elizabeth Risdon. Fans of "B" movies are certainly going to enjoy this little gem and if you are a fan of Turner Classic Movies and the countless forgotten movies they show, then many of the cast are going to be familiar to you. Everything here really adds up to a nice little gem and it's certainly worth catching.